Till date, the very sight of the original gold-colored cartridge The Legend of Zelda came in still invokes a feeling of pleasant nostalgia in many like me. In fact, my present-day love of high fantasy and open-world games can be directly traced to that cartridge, and the many adventures of as many iterations of a boy named Link (or Baba, as I tend to rename him at the start of each game). The Legend of Zelda was released in 1987. It was the first Nintendo Entertainment System game that allowed players to save their progress; and saving was indeed a requirement for making your way through the game's overworld and eight dungeons, some of which could be tackled out of order. It was followed by a direct sequel, Zelda II: The Adventure of Link, which marked a departure from the first game's top-down view, in favor of a side-scrolling view and some platforming. But perhaps the best game in the series, or at least my favorite one, was 1992's The Legend of Zelda: A Link to the Past. It was the first and only game in the series developed for the Super Nintendo, and like the first game, was played from a top-down view. It introduced many series staples, like the concept of a light and dark world, and was one of the most visually-stunning games of the 16-bit era as a result. The series made its transition to 3D with The Legend of Zelda: Ocarina of Time, which was released in 1998 and developed for the Nintendo 64. To accommodate the move to 3D, lock-on targeting was added to its traditional hack-and-slash combat system. The result was a system which allowed you to dodge, strike and parry seamlessly, all the while keeping the camera locked on the enemy. The game was highly praised for that very reason, and is one of the highest rated games in gaming history. There have been a number of 3D The Legend of Zelda games since Ocarina of Time, but none as raidcal as the 2002 GameCube release, The Legend of Zelda: The Wind Waker. The game was met with criticism for its cel-shaded graphics, but eventually won critics and fans over with its cartoon-like presentation and charm. It received two direct sequels on the Nintendo DS, The Legend of Zelda: Phantom Hourglass and The Legend of Zelda: Spirit Tracks, released in 2007 amd 2009 respectively. Recently, The Legend of Zelda: A Link Between Worlds was released on the Nintendo 3DS. 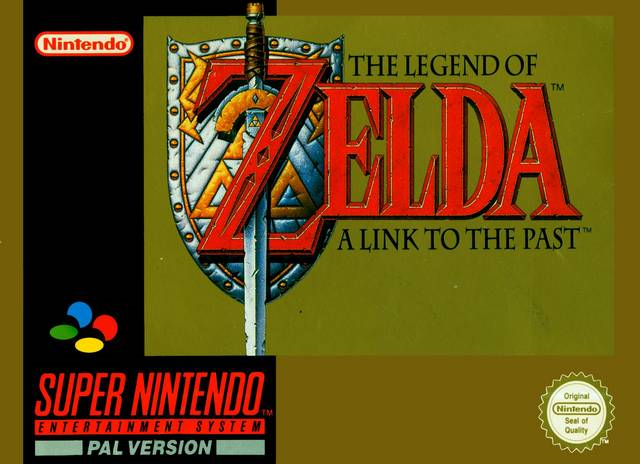 It served as a sort of sequel to The Legend of Zelda: A Link to the Past. It quickly became a commercial and critical success, winning the 2013 Game of the Year award at the video gaming website, GameSpot. I spent many hours playing the first one. Very nostalgic Game. And GameSpot is the best gaming site out there. I like GameSpot too, although I find myself spending more and more time on IGN nowadays. I was always a fan of Zelda. PLayed it all the time as a kid. I loved Legend of Zelda, but only played the very first one back in the day and finished it. Because of the nostalgia factor I just can't bring myself to play the new ones. They sound great though. I know what you mean. But if you ever do decide to give the subsequent ones a try, you should definitely start with A Link to the Past. How is there not a movie for this one, either??? I ask myself the same question. They've been many rumors over the years, but it's high time for the franchise to make the inevitable crossover to the big screen.